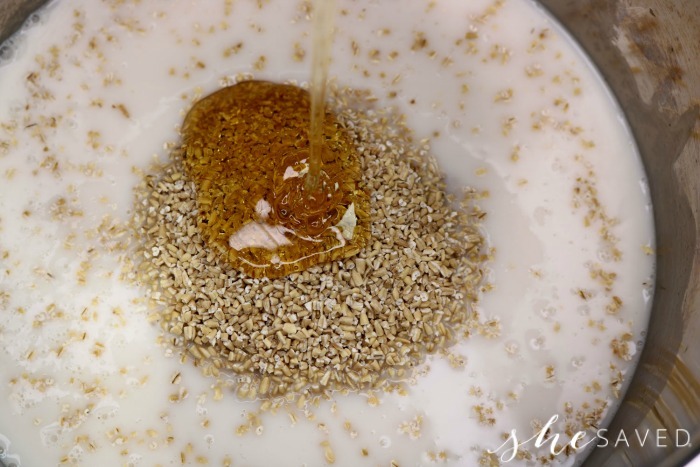 If you are an Instant Pot fan, let me give you one more reason to love this handy and popular kitchen gadget! 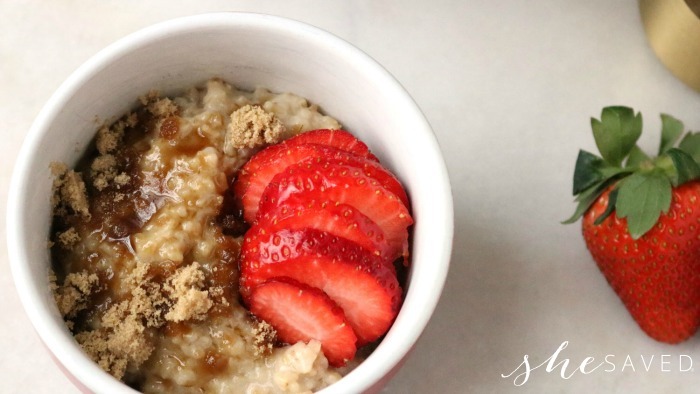 This delicious and oh-so EASY Instant Pot Steel Cut Oatmeal Recipe will quickly become one of your favorite Instant Pot recipes! 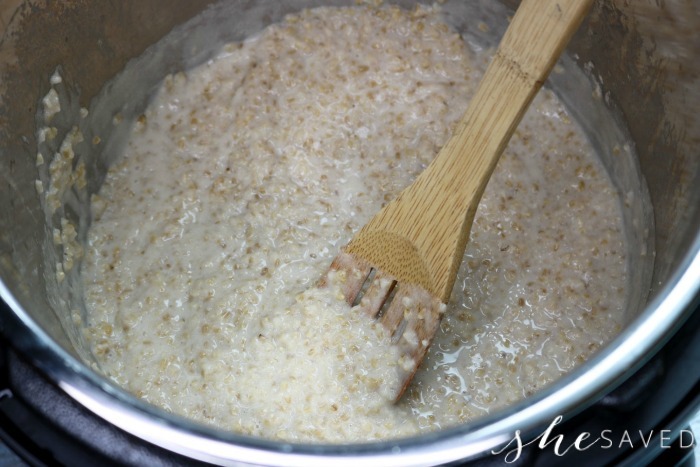 Not using an Instant Pot yet? Put it on your wish list because honestly, it brings a whole new level of awesome to meal times! 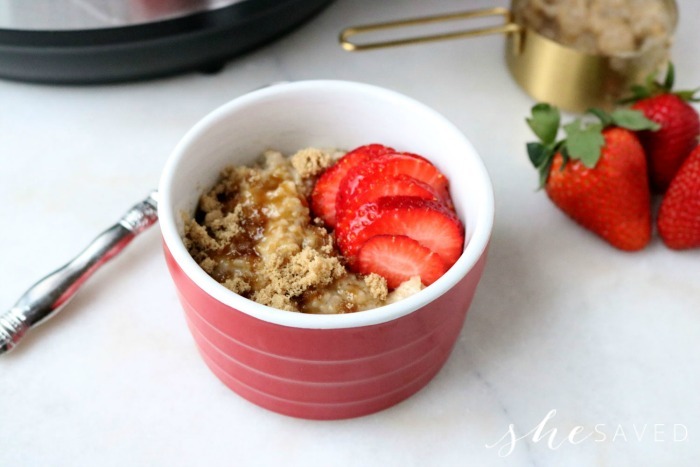 One thing that I love about this recipe is that not only does my family love this Instant Pot Steel Cut Oatmeal recipe, but it’s a healthy option for us and I can switch it up depending on what toppings I have on hand. We grow lots of berries in the summer time so I feel like this breakfast dish varies each time I make it and everyone in the family has a different “favorite” way to prepare their own. 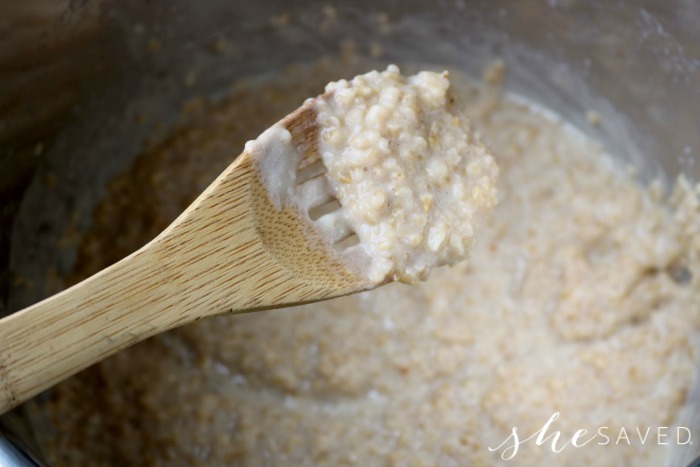 Even better, so few ingredients make this an easy option for breakfast when we are short on groceries and time and all of the other things that we tend to get short on when life gets busy. Bottom line, this is a very buy mom friendly option, which puts it at the top of my list of favorites! And of course, you will need an Instant Pot. 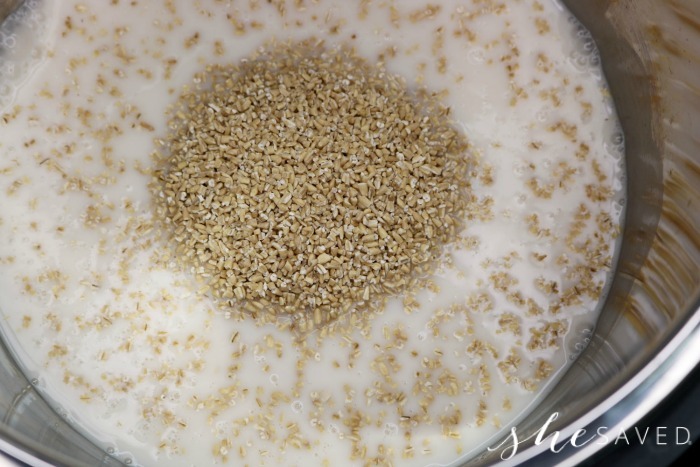 Add first 3 ingredients to Instant Pot inner pot. Set manual pressure to 4 minutes. After pressure cooking time has elapsed, do a quick release, stir and dish up into bowls. Top with choice of toppings and enjoy! 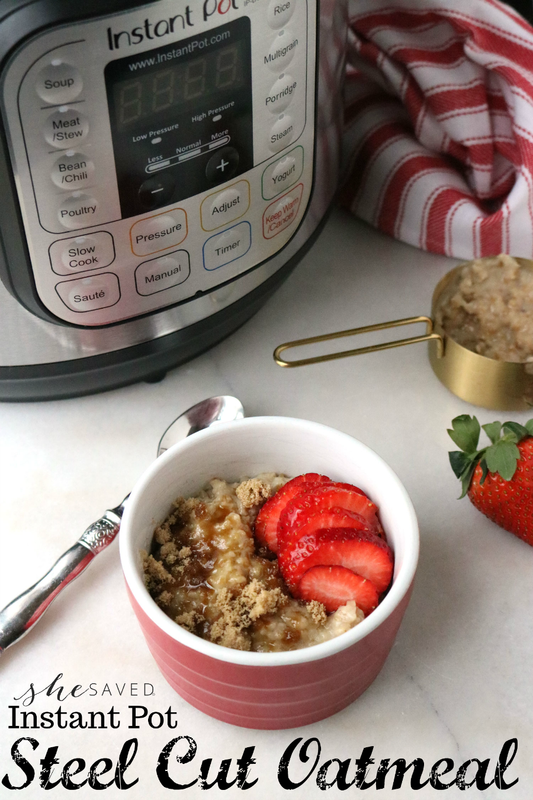 The directions for this Instant Pot Steel Cut Oatmeal Recipe are so easy that it’s almost embarrassing but trust me, it will be just another reason that you’ll love it! « HUGE Tax Refund Magazine Sale: Titles Under $5 Per Year! 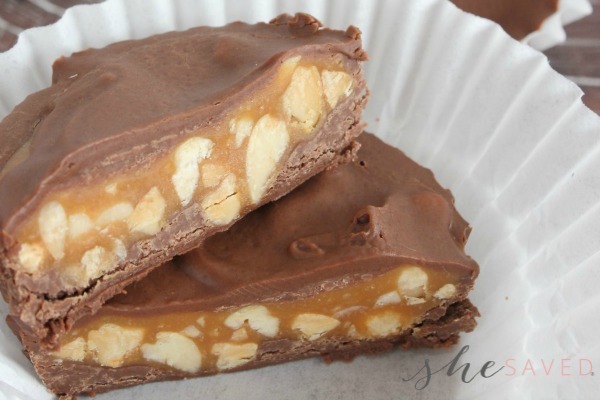 I can't believe how easy it is to make these!! 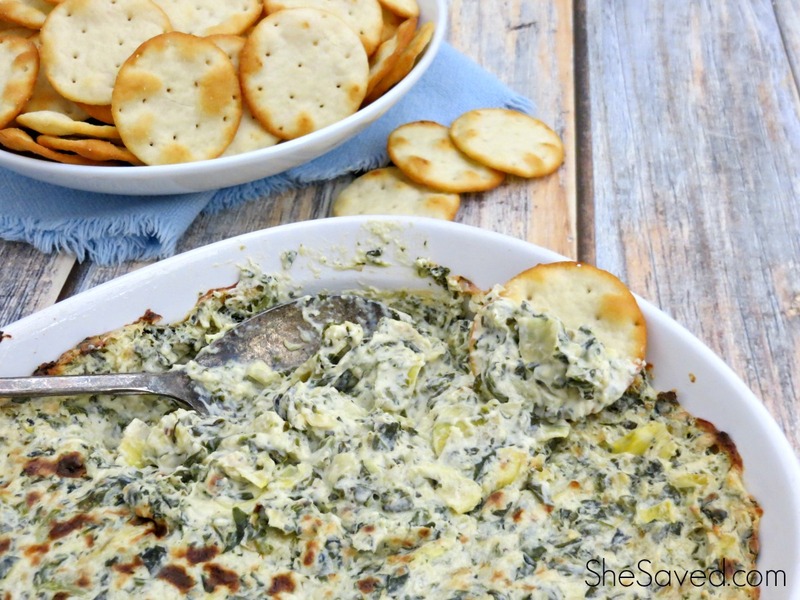 Thanks for the easiest recipe EVER! !